Add a sprikle of life in your web pages with the ThinkClowd. 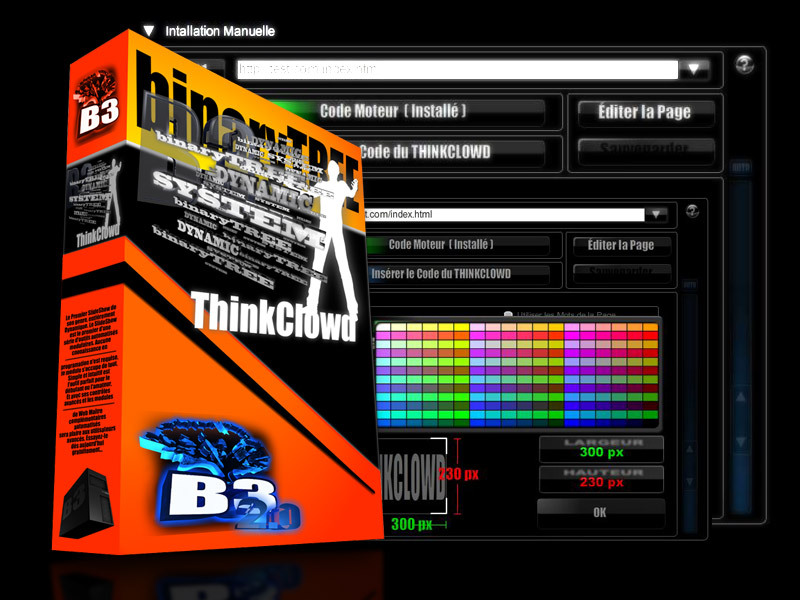 Versatile and easy to use, the ThinkClowd enable's you to add 3D text animation on your pages with just a few clicks. Use it to fill up empty spaces, to add life to a picture or to complement texts on your pages. With it's multiple options and it's real time editor, the ThinkClowd reveals itself to be a precious tool in your binaryTREE administration system.